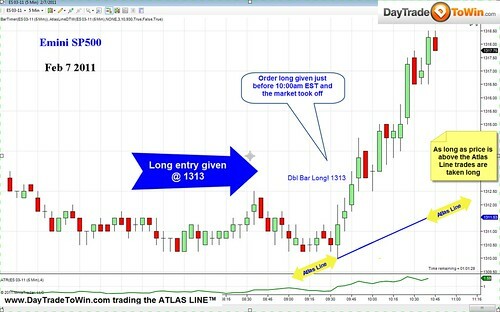 Again, another winning day for day traders who use the Atlas Line™. A long order signal was generated by the Atlas Line just before 10:00 a.m. (at around 1313). Right after, price climbed all the way up to 1318. This was an easy 2-5 point Atlas Line day, even for the most cautious traders.